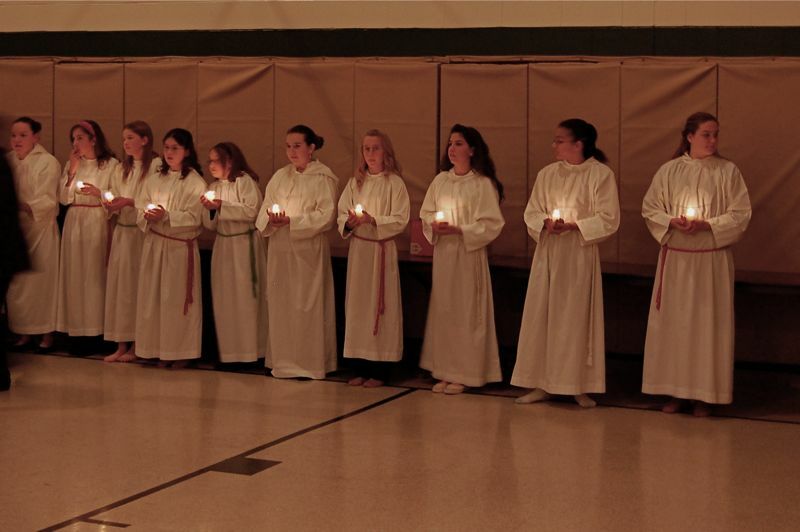 Last year was Katrina's last Christmas Pageant at St. Philip Neri. Over the past twenty years I've been to many Christmas Pageants. I don't remember all of them, but there are a few stand outs when my girls had memorable roles. This group of then seventh and eighth grade girls remind me of a Degas painting. They are "waiting in the wings" in preparation for their angelic procession as the heavenly host. i remember this song i have to say that it was one of my favorites. But i really love this picture it really speaks words to you.